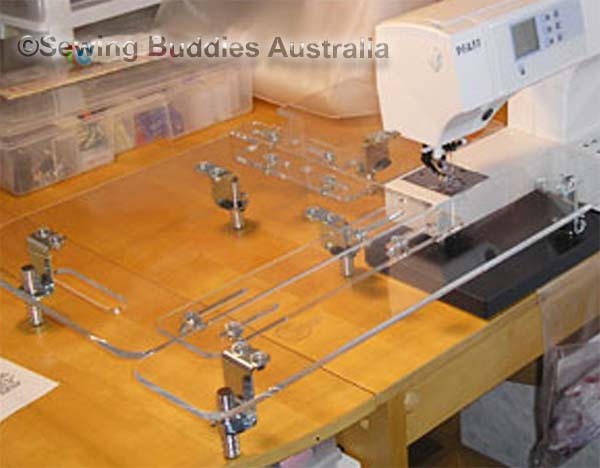 This Medium size Universal Sewing Extension Table 18" x 24" (45.7cm x 61cm) - Space Saver will give you the full size width for big projects but requires less depth on your work table. Popular for all sewing projects this table is great for home or travel. With the added bonus of fitting all your Portable Sewing Machines and Overlockers. The legs have non-skid, non-scratch rubber feet to protect your table top. The acrylic surface is super smooth and there is nothing to catch or snag your fabric, all hardware is rounded or recessed. The edges are fire polished on all sides for easy fabric movement. The area underneath the table has usable space for notions, instructions and extra fabric and may also be used as a light box for tracing patterns. What is the advantage of a Sew AdjusTable over a custom made table? There are many advantages but a Big one is the price, because it will fit more machines! A custom fit, non-adjustable table will only fit one machine, so even though it may cost less for the first table, you spend it twice when you get a different machine. It does not matter if you own a Pfaff, Husqvarna, Singer, Brother, Elna, Bernina, Babylock, Viking, Janome or any other brand or brands, your Sew Adjustable advantage is it will fit them all, including your overlockers. For example: A customer has a Viking Designer for home sewing and she purchases a Janome 760 because she likes to take classes and it's smaller to carry. If she already had a Sew AdjusTable® for her Viking, she's all set to take her Janome to her free-motion quilting class and use the same table. If she has a custom fit, non-adjustable table for her Viking, she will need to order a new custom table for her Janome, (which may take several weeks to arrive). In the unfortunate event that she drops her table while she's loading it into her car and it cracks, the Company for the non-adjustable table sells her a new table for the same price anything up to $200. The Sew AdjusTable® Company will determine which part needs replacing and send her a new part at a reasonable price ($30 - $50 depending on the part), and she's up and running again for minimal cost. Sew AdjusTables feature unbreakable, heavy-duty legs, which add stability and durability to the table. Sew AdjusTables will convert to L-shape to fit an extra large machine or overlocker. 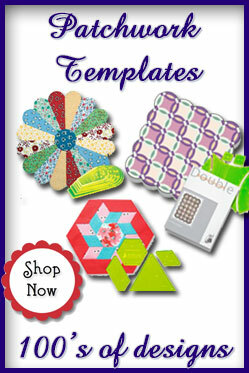 We will often ship tables within 24 to 48 hrs of receiving your order. Cleaning with a soft terry cloth, cheese cloth, or an old t-shirt works well to clean your table. Do not use paper towels because the fibers are coarse and will scratch the surface. A mild solution of dish detergent and warm water takes off stubborn dirt easily without harming the acrylic. To obtain a smooth, surface use furniture spray polish, such as Pledge. We treat every table before it ships with a product called Quality Care Furniture Polish, it gives a smooth hard surface which will help your fabric glide easily. When you spray, try not to spray in the cracks because it's hard to get it out... just spray lightly on the top surface and rub it clean with a soft cloth. You'll love the results!! Other Plexiglass cleaners are available in stores such as Plexiclear or Brillianize which are also highly recommended. 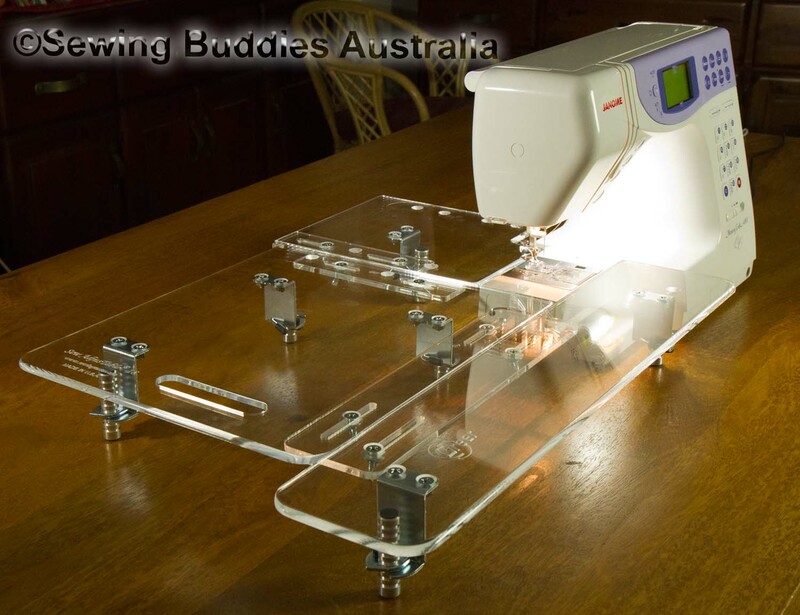 Caring for your Acrylic Sew Adjustable also means NOT USING CLEANERS CONTAINING AMMONIA, ALCOHOL OR ACETONE such as Windex or 409 which will harm your new table. The table-top consists of 3 main pieces which will slide to fit the length and width of your sewing bed. You simply loosen the wingnuts underneath the table and move the sections until they fit. Some machines may require you to remove the wingnuts and bolts and place them into a different set of holes to extend the range of adjustment, this can also be done without tools. A little tip, when you are changing your table to fit more than one machine on a regular basis, mark the grooves in the legs with nail polish or similar, so that when you turn your table over for the height adjustment, you do not need to measure each time. Since the table opening has straight edges you will get the best fit if the sides of the sewing bed are straight also. The closest fit is often obtained by removing the accessory case and placing the table directly around the freearm. The best way to see how the table will fit is by holding a straight edge ruler against the sides of the sewing bed to see if gaps occur. Use the dimension drawings on this link, CLICK HERE, to see how far the table will fit onto your sewing bed. Keep in mind that a perfect fit isn't always necessary to enjoy the advantage of the large level surface surrounding your machine. You can also head across to our "Sewing Machine Brands" page, for makes and models of machines, we know it is being used on. If your machine is not listed, it does not mean the Sew Adjustable will not fit. We have very few portable sewing machines or overlockers the Sew Adjustable will not fit. 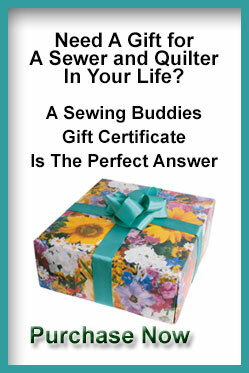 The answer to Will the Sew Adjustable Fit My Machine ? is nearly always YES!! The 16 x 16 Sew AdjusTable® requires a minimum depth of 14" on your work table for the front and back legs to sit. The 18 x 24 table requires a minimum depth of 16"
The work surface to the left of your machine needs to be at least 10" for the 16 x 16 and at least 15 " for the two larger tables. The 18 x 24 has been specifically designed so it will sit on a most sewing cabinets, counter tops or narrow work benches. 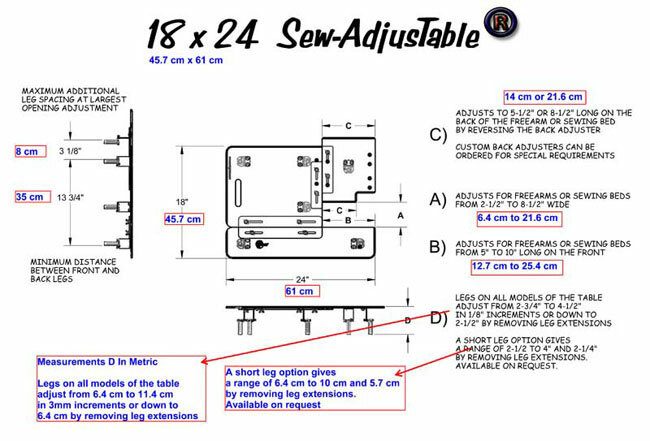 Please download our PDF attachments giving all the relevant dimensions on each of our Sew Adjustables, these will help you in determining what size work area is required for your particular portable sewing machines. How much will it cost for shipping and which countries do you ship to? What form of payment you you accept? Our shopping cart will accept VISA, MC,Discover, Paypal, Money Orders or Personal Checks. What leg height should I order? 2-1/2" to 4-1/2" is our standard height and will fit nearly all portable sewing machines. If you have a vintage machine shorter than 2-1/2" you should select the short range of 2" to 3-1/2". If you have both tall and short machines here are two options. Option 1: Select the taller legs and raise your shorter machines by setting them on a rubber mat or cutting board to bring them up to table height. Option 2: Select the shorter legs and also purchase the number of taller leg inserts to match the number of legs on the table. The number of legs per table are given when you order the inserts. This option will give you a full height range from 2" to 4-1/2" tall. How do I change my bobbin? If you have a top loading bobbin it won't be a problem, otherwise you simply pull the table out of the way to access the bobbin case. I found a simple way of placing a spool of thread under the two front legs to raise the front and easily access the bobbin case. Is there anything sticking above the tabletop to catch on the fabric? No, all hardware is recessed into the table top to provide a perfectly smooth surface. Are the edges rounded on the front and left side of the table top? All four sides of the tables have been rounded and polished giving a smooth transition onto the table top. Yes, the tables are very solid and sturdy. Even our long-arm quilting customers report that the table stays put while quilting large projects. Can I return it for a different size? If you are satisfied with your table in every way except the size, we will exchange it for a different size if you are willing to pay the extra shipping cost. What should I consider in choosing a table size? L- Shaped Mini-Mate 12 For mending, small sewing projects and small spaces, the 12x11 is bigger than it looks and works great to support your hands while feeding the fabric through your machine. If you've been sewing on a narrow sewing bed you'll find the Mini Mate will double the sewing surface around your needle and give you full support especially under your left hand where you need it most. The front of your free arm or sewing bed needs to be at least 6" long for the Mini Mate to fit. L- Shaped Feather-Mate 18 Designed with the featherweight and vintage machines in mind the 18 x 12 Feather MATE features shorter leg brackets to fit a sewing bed from 2" to 3-1/2" tall. The L-shaped table top is non-adjustable and wraps around the front and left sides of your machine. Great for travel and classes the Feather Mate will also fit modern machines and taller legs are available upon request. The front of your machine needs to be at least 10" long for the Feather Mate to fit. Small 16 If you plan to take your table to classes or use it when you travel, the 16x16 is a very convenient size and is spacious enough for most sewing projects, it's handy to move around between my machines and it weighs less than 5 lbs. If you have a long sewing bed on your machine this table will not surround it completely but will fit 6" in the back and up to 7-1/2" in the front. Medium 18 If your work space has room to the left of your machine but has less depth (between your machine and the wall), the 18x24 will give full-size width for big projects while fitting on a narrower work space. It requires a minimum depth of 15 to 18 inches for the table to sit depending on the width of the machine. This table is popular for classes. Extenders wherever you need more room to sew, the Extender will sit beside your machine or extension table to enlarge your sewing area. 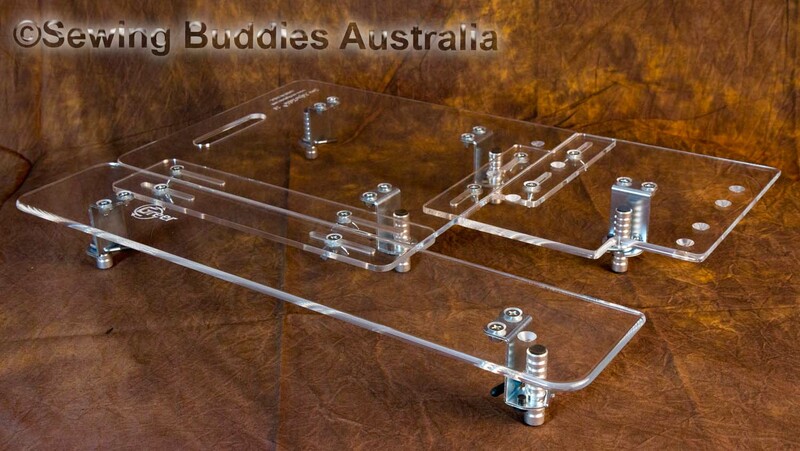 The 18 x 12 solid table top has no opening for a machine and can also be used as a light box. Adjustable metal legs adjust from 2-1/2 to 4-1/2 inches tall. Polished, rounded edges for easy fabric movement. Large Size 24 Best for free-motion quilting and large sewing projects, the 24 x 24 is ideal if you have a large work area, it requires a minimum depth of 22 to 24 inches for the table to sit, depending on the width of your machine. Weighing 10 lbs it isn't as handy to move around but many quilt instructors recommend it for classes, especially for free-motion quilting, and it has become our most popular size table! Bonus Room The area underneath each table provides extra space to place notions, instructions and extra fabric nearly doubling your work space, so the table seem even roomier. Click Here to see dimensions of each table and scroll to the bottom of the page for comparison information. Where else can I see these tables? Occasionally you will see our tables in an ad or product review in a sewing magazine but you won't find our tables in stores. Instead we suggest you give one a try and if you're not satisfied for any reason we make it very easy for you to return it for a full refund. Our tables were shown at the Houston International Quilt Show 2012 by our Sales Reps. Micky and Dan Rose. Will the table fit my serger? The Sew AdjusTables® are made with a removeable back adjuster allowing the table to be used in an L-shape configuration. This ensures a good fit on extra wide or deep machines and no matter which size table you purchase it will still fit your machine in front and to the left of the sewing bed to support your fabric where you need it most. 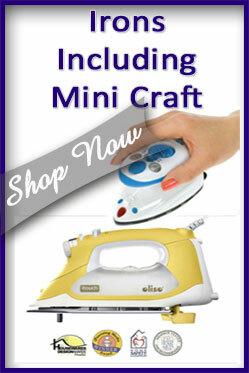 Many people order the Mini-Mate or Extender to use on their serger. Which table fits best on my Embroidery Unit? The embroidery hardware to the left of the sewing bed takes up most of the opening in the extension table leaving less table surface to the right of the needle. If you have a large embroidery unit you will want to order the largest table you have space for which will provide a longer coverage for the front edge of the sewing bed or freearm. We've had excellent feedback for the Viking, Bernina, Brother, Kenmore and Janome Embroidery units. The L-shape configuration is preferable when a telescoping embroidery arm is in use. How do I get the best fit for my machine? The Table Size Dimensions link in the navigational menu above shows each dimension in a printable format making it easy to compare the measurements of each table. The most important thing to consider is the length of the freearm on your machine(s). The B and C dimensions show where the table meets the front and back edge of the freearm or sewing bed. The 16x16 has a shorter opening which may result in a gap between the right edge of the extension table and the right end of the freearm. This may not be a problem, but if you need the table to fill the entire space in front of the machine, you may wish to purchase a table with a B measurement as long as the front edge of your freearm. For example... If your machine's freearm measures 8" on the front edge, and you purchase a 16x16 table which has a maximum B measurement of 7", you will have a 1" gap at the right end of the freearm. If this is a problem you have two options. You can attach the accessory box to the freearm and fit the table around the full sewing bed, eliminating the gap, or you may choose to order a larger table with a longer front adjustment to accommodate the freearm. If your question hasn't been answered please send it to us and we'll be happy to give you a personal reply. Our business has been built on customer input and feedback. If I order a table from you how soon will I get it? We ship our tables UPS ground unless otherwise requested. Shipping time is 1 to 7 days for domestic orders. We are in Oregon and the East Coast takes the longest. Most orders are processed within 5 days, if a parts shortage causes delays we will update you by email. We will email your tracking number once your order has been shipped. The pictures show a jog in the table top behind the sewing bed and my machine is straight all the way across the back, will it still fit? Yes, the back piece of the table top is reversible to fit against your machine either way. The reversed edge is straight. *The jog in the back adjuster is 1-1/2" deep, if your freearm is indented more than this amount from the back of the machine we can cut the jog deeper if you request it. I am having trouble understanding the explanation of measurements because I'm not sure which part of the machine is the free arm, and how it has so many different measurements? Not all machines have a freearm. The freearm is the smallest portion of the sewing bed when all accessory pieces have been removed. The full sewing bed is the largest dimension of the sewing arm with all cases attached. Many machines have an accessory case in front of the bobbin which must be removed to change the bobbin. This accessory case also has the purpose of enlarging the size of the sewing area and it becomes the full sewing bed. If an extension table is fit directly to the freearm, it makes bobbin changing easier because the case is already removed. Also, some full sewing beds are curved or rounded hindering a close fit with the extension table. 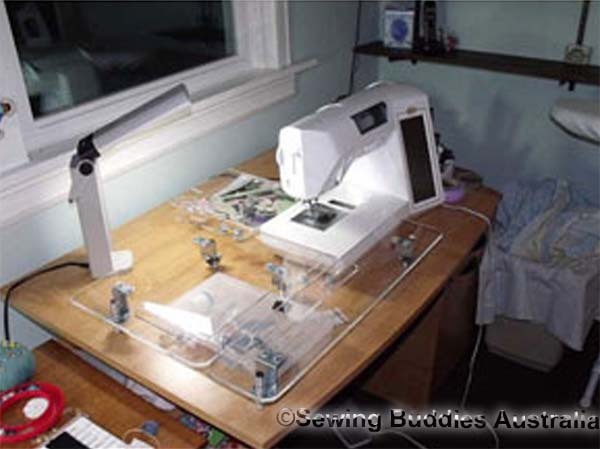 On many machines such as the Bernina, the freearm and full sewing bed are the same thing, unless you have the clip on extension table that came with the machine, then it could be considered the full sewing bed. 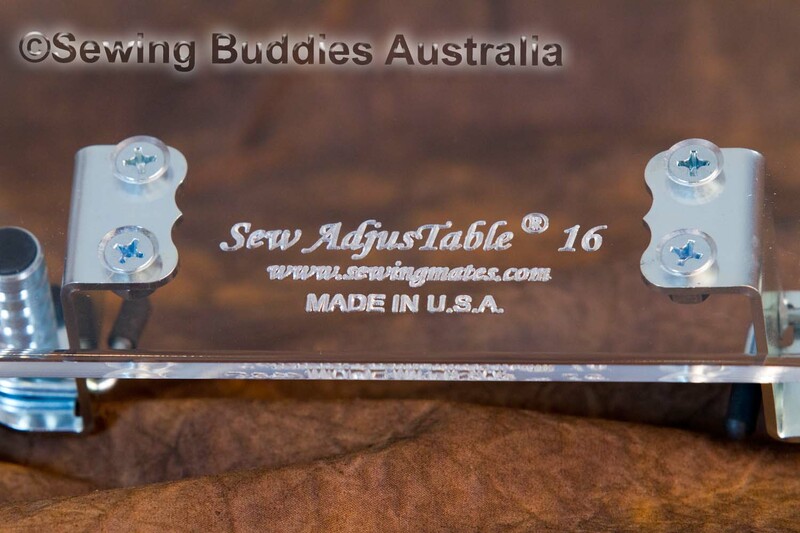 The Sew AdjusTable® will adjust to fit around most full sewing beds. The measurements consist of the width of the end, (A) on the dimension drawings, (this number could be 3" for the freearm, and 7" with the accessory case attached). The B & C dimensions are the length of the freearm (or sewing bed) on both the front and back edges. Again this will change when the accessory case is attached. The Sew Adjustable® will adjust to fit most machines either way but it's a good idea to compare the table dimensions with your own machine measurements to assure the best fit possible. How do the legs fold up for transporting? The adjustable leg consists of two main parts: A bracket which is mounted permanently to the table by screws, and a retractable leg which fits into the bracket. The minimum thickness of the table is 2-1/2" which is the depth of the bracket. For transport, the legs can either be retracted into the bracket, or removed and carried separately. Do I need to assemble the table when it arrives?